March 10, 2016 By Maranda Leave a Comment This post may contain affiliate links. Read my disclosure policy here. Winter can be long and by the time February comes kids are getting antsy indoors. Here are some fun indoor and outdoor winter activities that you can do with young kids. Most of these ideas are cheap or even free. Indoor Snowball Fight– Yes it’s a thing. You can actually buy indoor snowballs. You can get them here. How fun would it be to set up some forts with chairs and blankets, divide into teams, and have an indoor snowball fight. Even the littlest of kiddos can get in on the fun. Build a fort, pop some popcorn, and have a read-a-thon. Just like the good ‘ol Elementary school days! Snow Paint– I’m sure you’ve seen this before, but kids love doing this. All you need is squirt bottles, water, and food coloring. Fill each bottle with water and make them whatever colors you want. Then go outside and squirt away. 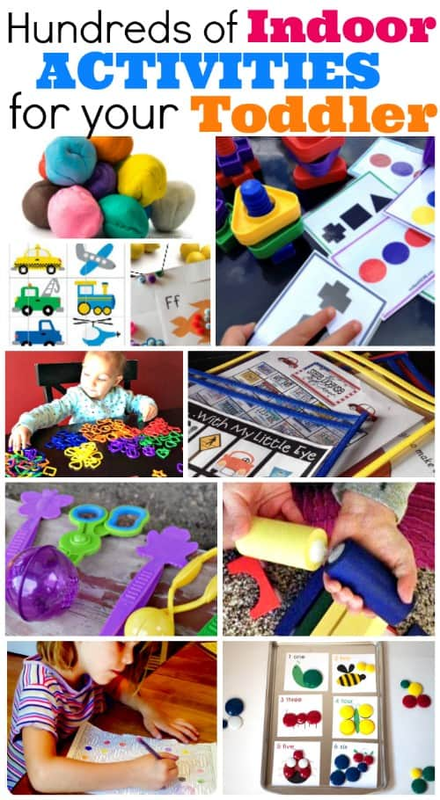 They can make pictures, write words, or just have fun mixing colors. If there is no snow outside, do wall mural painting inside! Make Homemade Hot Chocolate– Hot chocolate is an obvious go-to winter treat but how about making it from scratch with your kids instead of just whipping out the can of Stephens. It’s fun for kids to get involved in the kitchen plus it’s good for them to start learning cooking skills. There are so many yummy varieties of homemade hot chocolate out there from Coconut Hot Chocolate to White Hot Chocolate (or here’s a roundup of the best Hot Cocoa Recipes on the Web). Let the kids be involved with finding a recipe they might like. Then cozy up, put in a movie, and sip your homemade hot chocolate. Library Scavenger Hunt– This is a fun way for little kids to get familiar with their local library. Before you go to the library print off a sheet of tasks for them to accomplish when they get there. They can be really simple or more complex depending on the age of your children. Some ideas may include: What is the name of the librarian? What is the name of the Library? Can you find something with the name printed on it? Can you find your favorite book? Who is the author to a certain book? Then help them accomplish all the things on the list. They will have fun and get to know their library a little bit better. You can also print off these fun “I Spy” printables. Indoor Swimming– If you really want to pretend it’s warm outside, take your kids to the local indoor swimming pool. It’s a great way for them to burn off some energy. To save money look for coupons or certain days that offer discounts. 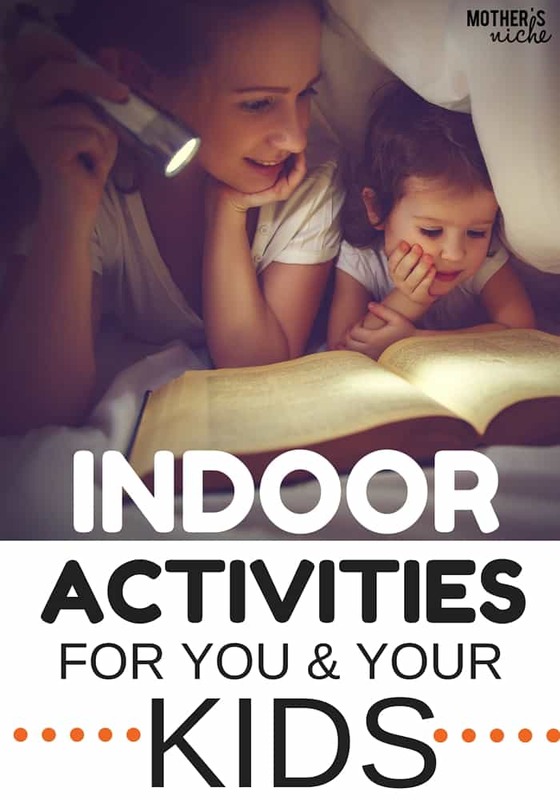 What INDOOR ACTIVITIES Do YOU like to do with YOUR Kids?